If ever there was a destination perfect for adventure and expedition cruising, it would have to be Papua New Guinea. I'm about to set sail for PNG again next week and this will be my fourth visit. I can't imagine getting tired of visiting this wild and colourful country so close at hand. Australians still need to overcome reservations generated by decades of bad PR. True, some places you just want to stay clear of, Port Moresby for one. But in the Solomon and Bismark Seas to the north and northwest, up the mighty Sepik River and over to the Louisiades, there is a Papua New Guinea seldom seen by mass tourists. Compact, low-impact expedition vessels like Orion, Oceanic Discoverer and True North are now regularly plying the friendly waters, stopping at tiny islands with villages of just a few hundred inhabitants and absolutely no tourism infrastructure at all. No touts, trashy nick-nacks or wharf urchins to upset your experience, just a pure and unadulterated cultural encounter. 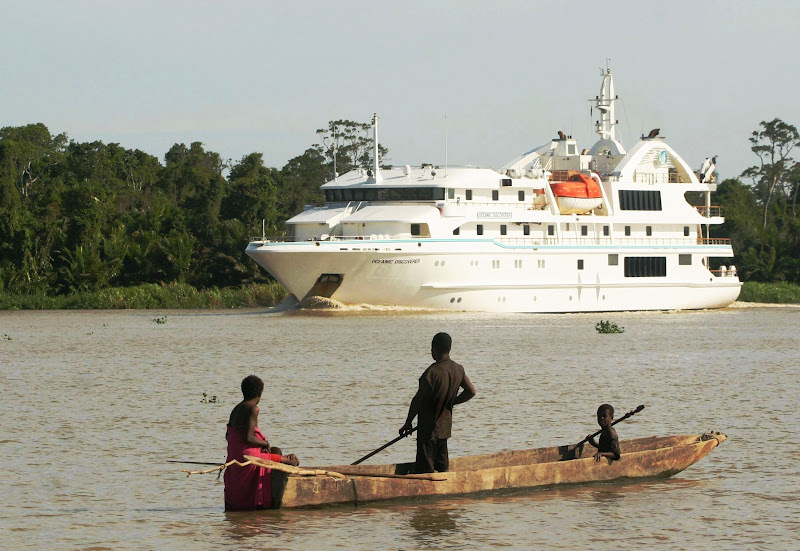 Just as expedition cruising is not for everyone, neither is PNG. Passengers need to be open-minded, intellectually self-sufficient and prepared to embrace the experience as it is presented. The modern vessels offer plenty of comfort and even luxury for softies like me, so it's not all hard going. There's great diving and snorkeling, fishing, brilliant tribal art, raw dance and rituals to make your eyes pop and anthropological and wartime history in abundance. Expedition cruising: can adventure be luxurious?